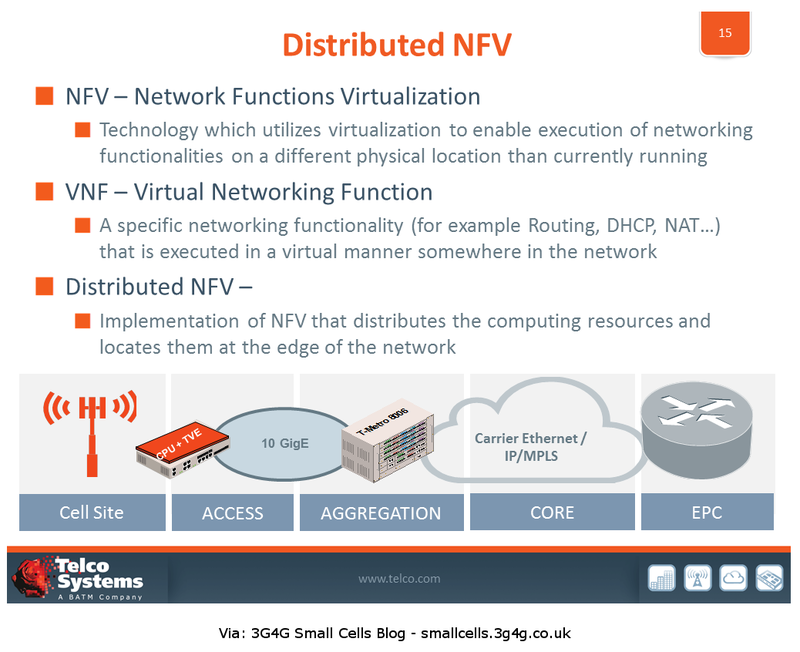 An interesting presentation on how Distributed NFV can be used for Small Cell backhaul. The calculations show that 80% TCO savings. The presentation is embedded below and the video is available for viewing here.